The breathtaking 18-hole Nicklaus-design par-72 championship course, was designed within a seaside community, it incorporates the surrounding water and lush environment within its 123 acres. 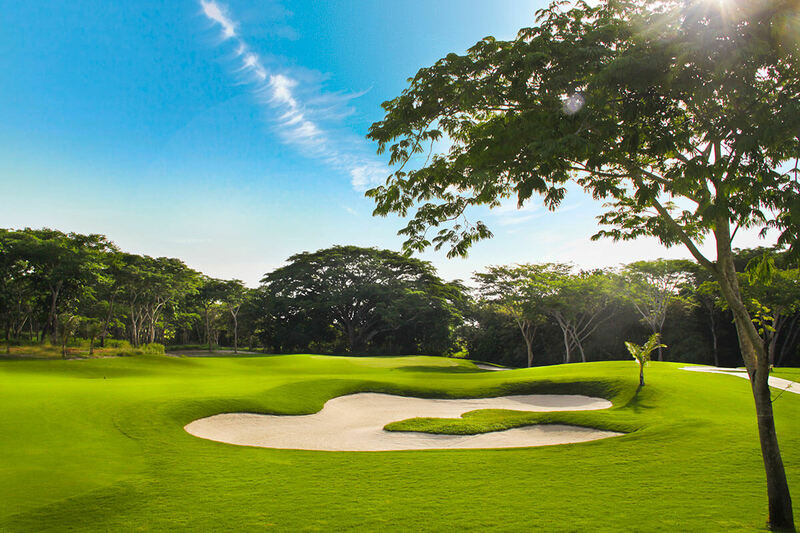 With more than 110 unique water bunkers set around the course and 300 mature Corotu trees strategically placed throughout the landscape, the golf course provides both a stunning atmosphere and a challenging game. *Offer available January 1st, 2019 - April 30, 2019.